David Geier, MD, is a board-certified sports medicine physician and orthopedic surgeon with the Medical University of South Carolina. 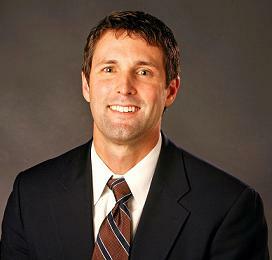 Dr. Geier is the director of the MUSC sports medicine, which he built from the ground up. He serves as the head team physician of the Charleston Battery soccer team and chief tournament physician for the Family Circle Cup women's professional tennis tournament. Here he discusses how he applies problem solving to orthopedics, the process of building a sports medicine program, creating a social media presence and his work with athletes of all kinds. Q: Why did you choose to become an orthopedic surgeon? Dr. David Geier: Once I started medical school, I was fairly certain I wanted to be a surgeon. I have always enjoyed solving problems. Orthopedic surgery appealed to me in particular because we largely take a structural problem and try to resolve it. For some reason, the idea of managing symptoms that might marginally improve but will never be resolved, like diabetes or high blood pressure, just never interested me. I wanted to take a patient with one problem and make it better. Sports medicine as a subspecialty appealed to me for the same reason. In this case, we take mostly healthy patients who have one problem that is keeping them from doing what they love to do. You get to fix it surgically or with nonoperative treatments and get patients back to those sports or activities. The joy on young kids' faces or the faces of weekend warriors able to go back to sports or exercise is extremely gratifying. Q: What is the biggest challenge you have faced in your career? DG: I started a sports medicine program from scratch when I joined Medical University of South Carolina. The previous orthopedic surgeon who specialized in sports medicine had left several years before I came there, so I started with nothing. That obviously can be bad, as I had no patient base, no affiliated schools or teams and no athletic trainers or other personnel critical for a successful sports medicine. In fact, I only had one patient scheduled on my first day at the clinic. Having said that, it was a blessing in disguise because it provided a clean slate. I worked really hard to push administration to hire an athletic trainer. I had to work with the hospital to develop services that we didn't offer (and no one else in the area really did either), such as sports nutrition, performance and injury prevention, sports psychology and sports neurosciences program. I spent hundreds of hours meeting with coaches, athletic directors and league administrators to get the program's foot in the door, so to speak. Eventually we developed relationships with many schools, recreational leagues, professional teams and events. All that work creating the MUSC Sports Medicine program has died down, as more of the work now involves day-to-day issues, but I am very proud of it too. It has now become a terrific group of healthcare providers that really do offer top-notch care to athletes of all ages and levels. Q: How has sports medicine changed since you first began to practice? DG: I think there has been a consistent shift towards not simply improving our surgeries and other treatments for athletes' injuries, but to preventing injuries in the first place. This focus seems most evident among youth and female athletes. I think this is an area that the field of orthopedic sports medicine should lead. If we can keep athletes from getting hurt, they will have healthier lives as they get older. And they can keep playing sports and exercising much later in their lives. Our attention to injury prevention is absolutely a positive shift. Q: In today's rapidly changing world of medicine, what issues do you think are the most important for orthopedic surgeons and sports medicine specialists to address? DG: I have only been in practice for eight years, so I might have a different perspective than many sports medicine surgeons. Even in that time, though, there seems to have been a dramatic increase in the bureaucracy of medicine. Yes, I am currently at an academic institution, but it seems to be happening outside of academics too. We spend so much more time on paperwork, insurance documentation, electronic medical records and collecting data for all kinds of agencies and managers. Add that to the push to see more patients, and you have a situation that is stressful. And I think that has led to a good deal of frustration and burnout. I can't definitively say that is the reason so many practices have sold out to hospitals, but it seems like many surgeons just don't want to deal with the hassles of all of the bureaucracy. Going forward, I think physicians will have to play a bigger role in the changes going on in healthcare. Otherwise, this spiral of having to see more and more patients, adding even more paperwork, and attending even more meetings will only worsen. And I worry that this trend isn't good for the profession long term. Q: What advice do you have for orthopedic surgeons and sports medicine specialists trying to develop a social media presence? DG: I think the best advice that I can give other sports medicine surgeons looking to get involved in social media would be to encourage them to seriously decide why they want to do it in the first place. We have all seen statistics about social media use among the population and the use of online information in healthcare. Most of us have heard marketing experts tell us that we have to be on Twitter, or that we have to blog, or some other expensive recommendation. But if surgeons do it just because they think they have to be doing it, they will ultimately fail. Developing a social media presence takes a lot of time if you want to do it correctly. Most sports medicine surgeons are very busy, not only with seeing patients, but with covering team sports, etc. The commitment to creating a dynamic social presence is significant, and it should be considered carefully. You have to have goals. What are you trying to achieve? Do you want to educate the public and potential patients? Do you want to have a forum to discuss sports injury topics with other surgeons? Do you just want to make a footprint so patients can find your office location and phone number? If you don't know what you want to achieve, you won't know where to start. You'll also try a lot of different things (random tweets, a flurry of blog posts for a week or two and then nothing for months, etc. ), but you will ultimately burn out because you won't have any idea if you are making any progress. If you know from the start why to want to get involved and then are patient enough to take slow but steady steps, you can have a large social media presence. And you might really enjoy it, like I do. Q: How have you viewed your work with athletes, both recreational and professional? DG: Here in Charleston, we don't have major professional sports teams like big cities. Most of our work with athletes comes at the high school level as well as sports leagues from the recreational to semi-pro levels. I do get some time working with professional athletes in soccer and tennis. I am the team physician for the Charleston Battery, which plays in the USLPro league. I also serve as the Chief Tournament Physician for the Family Circle Cup, a women's professional tennis tournament held annually here. I get to work with the top female players in the world there for the nine days of the tournament. That exposure to athletes at that level is great because these players train so hard to get to that level. The high school kids and weekend warriors love what they do, but they have other jobs or interests. For these top athletes, theirs sports are their jobs. It is a different level of commitment and provides challenging issues with returning to play as quickly as possible but preserving their health and career for years to come. I really enjoy that side of the pro coverage, but I wouldn't give up the other parts either. A series of articles featuring orthopedic surgeons on issues ranging from personal background to current research developments is published weekly. We invite all orthopedic surgeons and sports medicine specialists to participate. If you are interested please email cpallardy@beckershealthcare.com.